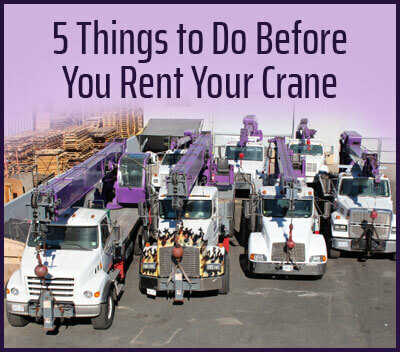 Purple Crane is the company to call when you have to accomplish a big lift in Huntington Beach. We are Southern California's most trusted crane rental and operator company, since 1983. When it comes to moving large machinery, equipment or objects across a job site or across the county, you know you need an expert. 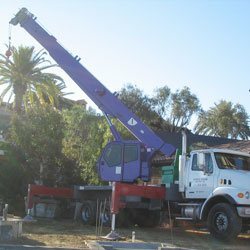 At Purple Crane, you'll get the highest quality crane services at the best prices available in Huntington Beach. All of our crane operators/drivers have at least 9 years of experience, but some have as much as 40! 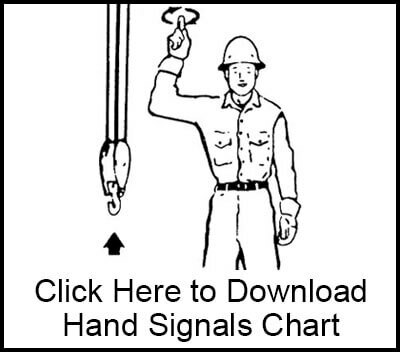 They are all CCO-certified by the National Commission for the Certification of Crane Operators, and fully trained in how to handle our cranes for any lift. Over the past 30 years, we've done more than 75,000 light-duty and heavy-duty lifts, so you can believe that we have seen it all. 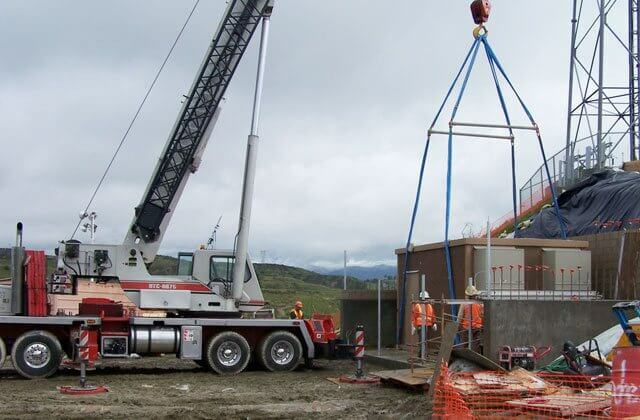 We have 3-ton to 75-ton mobile cranes that can extend from 82 feet to 165 feet. If you aren't sure which crane you need, don't worry; that's our area of expertise. 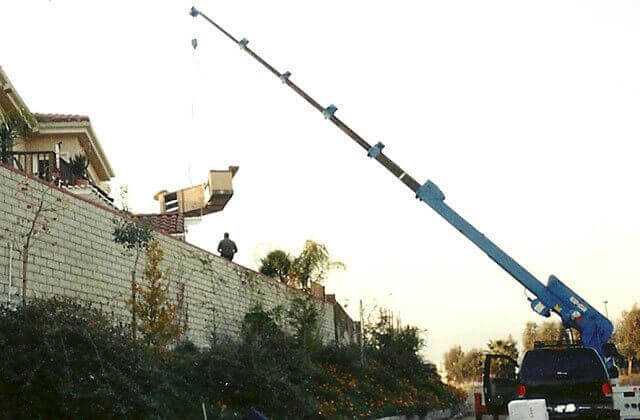 We will ask you all the right questions in order to correctly determine the best crane for your needs. Once we are booked, you can rest assured that your crane operator will arrive on time and prepared to work. Upon arrival, our technicians immediately prepare your crane for your task, and will continue to work expeditiously until the job is done. Call Purple Crane anytime of day or night to reach a crane service expert. We are OSHA compliant and fully insured. We are also proud members of the Specialized Carriers & Rigging Association (SC&RA). We manage one of the most modern fleets serving Huntington Beach and actively stay on top of the industry's latest best practices and changing regulations at the city, state and federal levels. No matter how big or small your lift is, we have the resources to get a crane, boom truck, or truck and trailer out to your Huntington Beach site at a moment's notice in order to make it happen. Purple Crane offers 24/7 crane service, and has the capacity to secure a certificate of insurance in less than a day. Our inventory of mobile cranes consists of the most trusted names in the industry: Garland, Dynalift, Manitowoc, Terex, Grove, and Link-Belt. 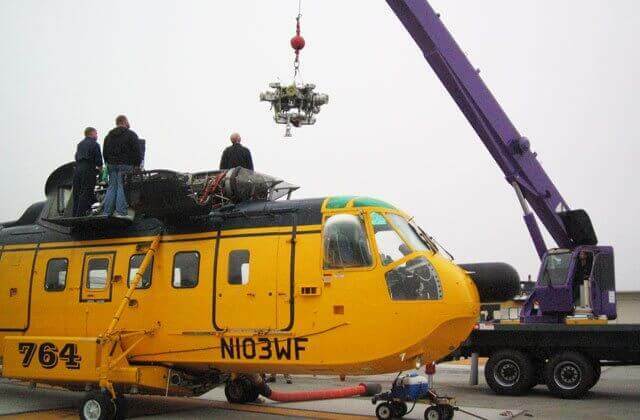 All of our lift equipment is routinely inspected and serviced by our crane maintenance experts to ensure that your lift in Huntington Beach will proceed smoothly. We are happy to accommodate last minute requests, whether for a two-hour or two-month rental. Contact us today to discuss your lift in Huntington Beach. Our drivers can transport oversize or overweight objects anywhere between Huntington Beach and any other city in Southern California. We have trucks and trailers that can handle loads of up to 15,000 pounds. This includes items like pumps, motors, transformers, large machinery, shipping containers, and commercial air conditioners. Since we can handle the lift on both ends of the move, when you call Purple Crane, you can consider the job done. Call us today for a quote. 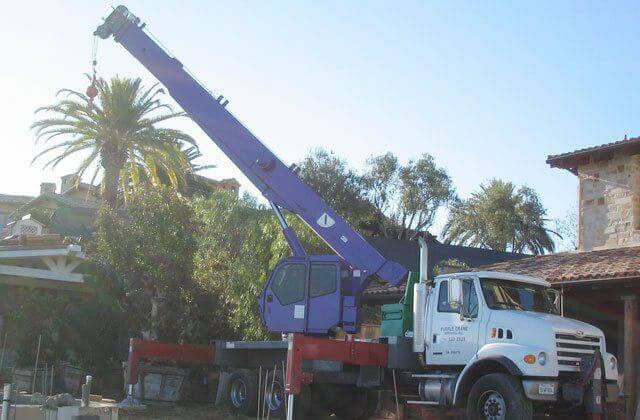 Purple Crane has been serving the transportation, construction, manufacturing, HVAC, utilities, and landscaping industries in Huntington Beach for 30 years now, and is confident that our team can get your lift and move done to your complete satisfaction. Call us now to learn more about our crane services, available anytime, anywhere in Huntington Beach. No time or money will be wasted when you contact us for a mobile crane. 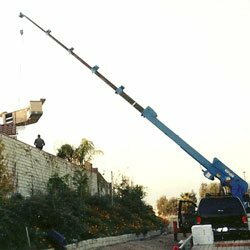 We will select the precise crane that you need to accomplish your lift, and we'll arrive at your job within the timeframe promised. We'll carefully drive onto your jobsite, maneuvering carefully to avoid overhead obstructions and tight corners. Once in place, we will get your crane balanced, properly stabilized and assembled, so that your rigger can begin working immediately. 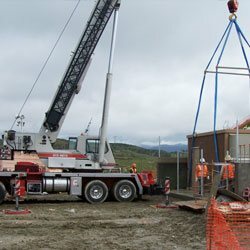 With our team of expert crane operators, extensive inventory of high quality cranes, and affordable prices, it is hard to find a better value in Huntington Beach for crane rental and operator services than Purple Crane. You can trust that we will select the right crane for your job so you can complete your work quickly, safely and within budget. Light duty cranes can be rented for as little as 2 hours, and heavy duty cranes for as little as 4 hours. 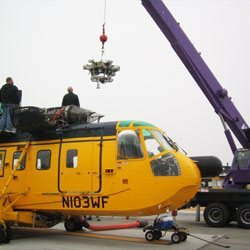 Call us today for prompt, affordable crane service in Huntington Beach. You are welcome to call us any time of day. We have a live person available to take your call 24 hours a day, and can dispatch a crane for urgent requests.